More foreigners are buying apartments and investing in real estate in Vietnam, especially in Ho Chi Minh City, with most of them coming from mainland China, Japan, Singapore and the Republic of Korea. Ngo Quang Phuc, General Director of Phu Dong Group, said that since the amended Law on Housing 2014 took effect in 2015 the domestic property market has seen increased interest from foreign buyers. From 2008 to 2014, only 126 foreigners bought property in Vietnam. In 2014, the Ministry of Construction reviewed the policy on allowing foreigners to buy property in the country and amended the regulations in the Law on Housing. Many apartments in major projects in HCM City like the luxury Centennial Bason, The Grand Manhattan and Alpha City in District 1, with prices between 6,000 USD and 10,000 USD per sq metre, have been bought by foreigners. Very few local customers can purchase such luxury apartments, so local companies need to work with foreign real estate agencies to look for foreign buyers and investors. Local real estate companies like Khang Dien, Novaland, Vingroup and Him Lam Land, for example, are working with TVC Communication Company (Singapore) to sell real estate. Such cooperation between local and foreign companies is especially useful in the high-end or luxury real estate segment, which interests foreign buyers, especially Chinese customers. 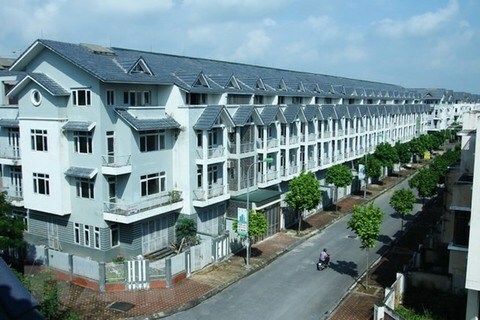 Some luxury projects in HCM City have even sold up to 30 percent of their units to foreigners. The 2015 amendment of the Law on Housing allowing foreigners to buy property in Vietnam was considered a positive change in policy that stimulated investment in property for tourism and services. Le Hoang Chau, Chairman of the HCM City Real Estate Association, said that in 2016 nearly 1,000 foreigners bought apartments and other properties in HCM City, and the number is expected to increase.